The client is most grateful for the outside perspective Sunflower brings to the company's business processes and their availability. Also of note is Sunflower's ability to navigate the client's priorities and preferences without much guidance. Groove Productions is an event production company. We produce events in the dance industry all over the United States. They include competitions, conventions, and workshops. We’re one of the larger firms in our industry and we’re growing rapidly. We’re going on our sixth year of business. We had a patchwork of software and websites, and different applications we were using for different things that were really primitive and not integrated whatsoever. We worked with Sunflower Lab a lot, and we’re actually still working with them to integrate almost all of our systems. Some of them are for registering people for our events; some of them are front-end websites for marketing; some of them are onsite local software that we use for scoring and administering onsite event criteria and things we need to get done at the event. We’ve been working with them on that process for the last year and a half. They started working with us on our mobile app in January of 2015, and when they started working on our full integration, we dropped our previous web developer and a few other people and we pushed everything under the Sunflower umbrella. They developed for us first our mobile app on iOS as well as Android. The release of that was delayed because we actually were attempting to integrate it into an older system. As we started going through the process, we realized this wasn’t practical and instead we rebuilt the system with Sunflower Lab. That process got held off not by anything that had to do with Sunflower, but just an internal decision we had to make for efficiency, for the future of our company, and what was going to be most viable for us. We then built our registration system, which is just a site that allows us to collect data from our clients, allows them to register for our events, pay for our events, and view their results and their documentation before and after our events. It’s also a staff management platform for us that allows us to give all of our employees their own login so they can see their information for what events they’re working, their travel details, and all that kind of stuff. That’s all built on the .NET platform. It’s integrated with everything else that we have. The next big system that we’re working on right now is a local system that allows us to check in our entries at our event, to score our events, and to check people in onsite; they register online, and we check them in at our events. That syncs with our online application as well as our mobile application. That’s the part we’re on right now, synchronizing the local process that we have going on at our events with the online process before and after for registration and then delivering post-event content. I would say 20% of what they did for us was client-facing; our client-facing website as well as our mobile app. Everything else is operational and for human resources. Our employees all have their logins. That’s how we track their medical benefits and their salaries. Through that portal, employees receive their documentation and our administrative team keeps track of some client data as well as employee scheduling, travel, etc. We tried a few integrations along the way, and in the end, most of what we did was completely custom because we had such specific needs. I found them online. I was doing some comparison shopping and some review reading. It was a site that compared some developers in the Northeast to work on a mobile app. That’s specifically what I was looking for, mobile app development. Yash [Patel, Director] had some great reviews. They were in our area, so he offered to come meet up with me. We met for lunch and we talked a little bit about what we were interested in doing. We got along well, so we moved forward with just the mobile app, and then once we were really satisfied with that, we moved on to the rest of the project. We have spent $180,000 to $250,000. It has been ongoing since January 2015. We certainly have saved a lot of administrative time. We’ve grown a lot while we’ve been developing these tools, and we very much tried to develop something we would require in the future and not just something that our current needs required. We probably avoided hiring two or three more full-time admins because of the system that they have developed. Our old systems were very redundant, very inconsistent, and required a lot of human knowledge. Now, we’ve cut so much of that out and our errors have gone down significantly. We used to track the hours the billing department spent chasing people down for money. We were much smaller then and they were spending between 15 and 25 hours a week just tracking people down for bills trying to receive payments. Sunflower developed an automated email system for us that basically just harasses people with reminders until they get their bills paid before the event. If it’s the day before the event, they’re getting an email to remind them that they have to pay their bill or they won’t be able to attend the event every two hours. I think our billing department reported less than one hour a week this year for trying to capture payments, so that’s been huge. It a great feeling to not have to chase your clients down for money. That’s been a huge success story. The two owners of the company are primarily involved in sales, and they oversee the projects in a very light capacity. They assign a project manager to your team. I have been dealing with just the one project manager. Occasionally, my sales rep will come in or the owner of the company will come in just to check in on things, or if there is a complex issue that involves multiple integrations, he’ll chime in a little bit as well. They’ve designated one form of communication; for us it was Slack, but they offered all different forms of communication. That was pretty much chosen at my preference. We have two developers working on our project. I don’t communicate with them at all. I’m just dealing with the project manager and he’s great. He’s super accessible at almost all times. Anytime we have a major issue, it’s usually resolved within 24 hours. They’re overseas. The sales reps are in the US and the project manager and the developers are all in India, but we worked out pretty well. He usually works till about two in the afternoon our time, which is great. The workflow has been really good. I’ll give our project manager an idea and he’ll ask me why, and he’ll walk me through the logic of why that’s the way I wanted to do it. Then he’ll basically say, “Okay, have we thought of it this way? Could we approach it with a different logic?” He’ll come at it from another angle, and sometimes that third-party perspective of somebody who’s not super embedded in your business can maybe give you a better way of doing things. 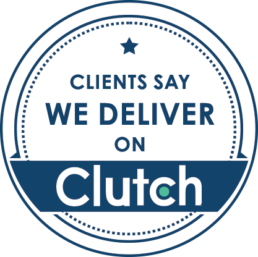 They’ve been really good at not only helping automate and streamline our current processes, but they have also been really good at affecting our processes and giving us ideas as to how we could work better. That’s been really valuable. By the same token, once in a while I have things that I don’t quite have the time to get into the details of, and if I need it executed quickly, they’ll do it. They’re super responsive as well. I would say those would be the two major things that Sunflower does well: looking at our processes not just from a development angle but from a business point of view, and two would be just an incredible responsiveness. When we do need something and we need it quick, it’s usually not an issue. Yash could probably use a full-time billing company that did his own billing. Sometimes he’ll forget to send me a bill one month and I’ll get two the next month. It’s not really a big deal; it doesn’t bother me. I’m sure he could use some help administratively, but it’s never been a problem for us.